Brian,...Do you carry your magic wand all the time ? Those are the 2 cars I was referring too. Notice the front wheels on the red one are dragster wheels (not knock offs). I always used the Ford truck colors in red & white. It was enamel and easy to use. This red seems to have an orange tint. I think they are nice enough to inspire any car builder. This car appears to be 86 inch wheelbase. In all fairness, the twister was and is a pretty car. But from what I've been seeing, Luther your car won a lot more races. Don't get me wrong, your car was pretty too, but it's legend is built on its record. In the end, that matters a whole lot more. I seen alot of Luthers cars back in the 60s,back then they didnt have chrome as easy to get as today,,and alot of the parts you used were home made one of a kind. Luther was great at building a car and it was not a factory built car. Very few were back then. Luthers cars were good looking Race cars.He always had one of the best looking cars with that Red and white he used on lot of them . 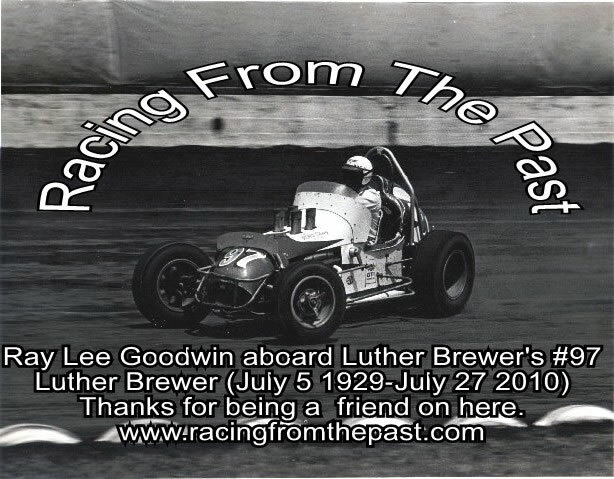 His cars were Fast,, and good looking,, and always clean ,,and well built,, and safe,, and ready to race.His cars were tested to there safety a few times and they past the test. The pictures on here dont show the true color of his cars like i have seen,,,and have pictures of. His cars were always one of the best looking out there. That's a good picture of Stan Borosfky, but thats not one of Luther's cars. 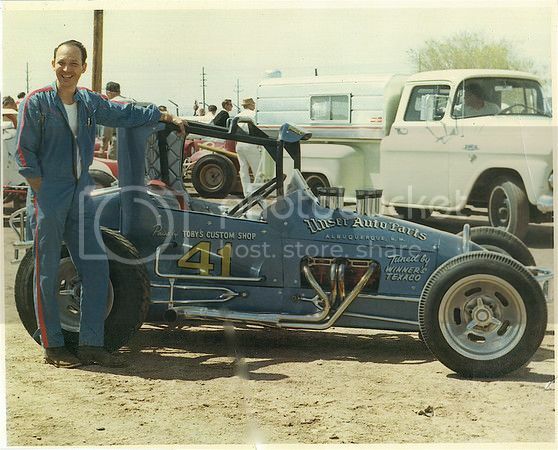 This is a picture of Jerry Weld in his old super which was sold to Borosfky and was ran for a couple years. 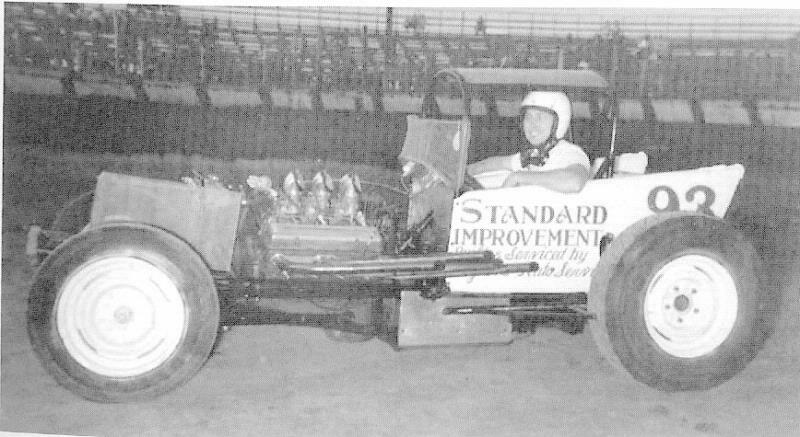 Stan had the cage removed and rebuilt as a sprintcar which is the car in your picture. Do you know where this picture was taken and who the cars are in the background? I am trying to remember if Harry Ivers ran #58. Also, any ideas what the vice grips are holding on the right front? Did he pinch off the brake hose to kill the RF brake? 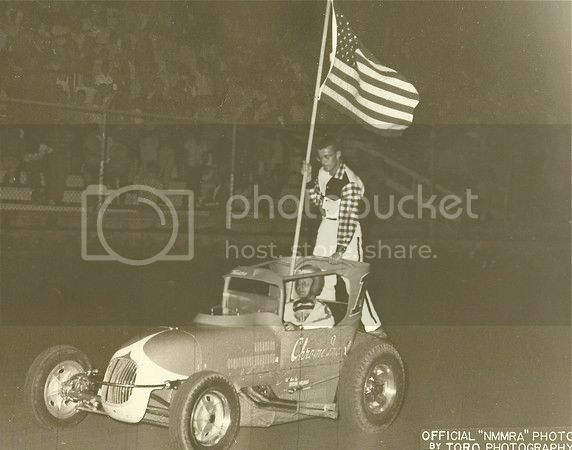 This photo according to 'welder' was taken at the BCRA race in 1966 at Hutchinson . These pictures are really from everybody else, I just drop them in. Thanks to all the guys kept these pictures all these years. Dwane sent the BCRA picture. Here's a better shot of the Twister without the hood. Notice the shine on the side panel where it reflects the nerfbar/wishbone. This must have been impressive to see. Luther: You are right. If a car can be called "sweet", it has to be the coupe sprint. I sure hope you do another one when you come back to the heartland. Let me be among the first to say, "Welcome home". That's beyond my capabilities there. Been looking at the Twister shots for years and haven't captured the Hot Rod cover.